At Energy Saving Products International Pty Ltd (ESP-i), we recognise the importance of protecting the privacy of personally identifiable information collected about our customers. For the purposes of this Privacy Statement, the word customers includes visitors to our web sites, subscribers to and users of our services, purchasers of our products and advertising customers. We collect personal information when you contact us through our website. Generally we will tell you why we are collecting information when we collect it and how we plan to use it or these things will be obvious when we collect the information. We usually collect personal information such as your name, address, and telephone number. Replacement for H.I.D. 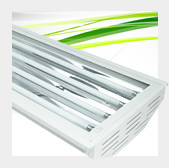 High Bay with up to 45% energy savings. 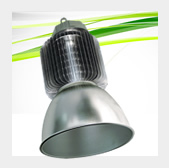 Up to 50,000 Hour rated average life High Bay option.